We are filling orders to make sure they will be under the Christmas Tree! Dec 19 Will be the last day to guarantee your order will be to you by Christmas! Click the pictures below to find out more information on each of one of kind products. Thank you for visiting our site for Autism Sensory Products specially for children with ADHD (Attention Deficit Hyperactivity Disorder) or SPD (Sensory Processing Disorder). For your Sensory needs or Autistic Therapy supplies and products explore our site. 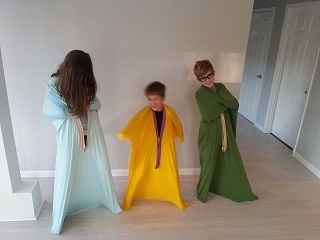 View our site for Silly Sacks and Dance Sacks as well. Our products are made in the USA from fabric made in the USA. For children with sleeping needs or Insomnia view our Compression Lycra Bed Sheets in Twin, Full, Queen or King Size. Can make life easier for many with sensory issues. Click here to go to our SENSORY and DANCE page. The video above was made by Jordan Kepner asking is girlfriend Kelly to marry him in New York City Madison Square Park. Using the SILLY SACKS as a Flash Blob Proposal. Congratulations to Jordan and Kelly! Click links to the side or below for our other great and unique Autism Products, Austism Supplies and Sensory Therapy Supplies. From Spacial Sacks for Therapy, Dance Bloobs, Silly Sacks to Autistic Therapy Swings and Lycra Bed Sheets. 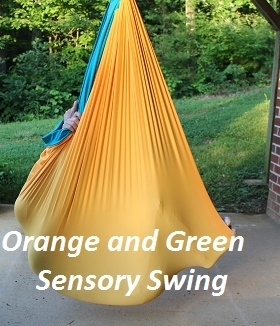 Sensory Therapy Austism Swings, Hammocks, Autistic Therapy Products. We are in the Charlotte, North Carolina area and buy our Lycra and Spandex Fabric direct from the factory and pass the savings on to our customers. If you are a School or Hospital and need to use Purchase Order numbers contact us for more info. If you have an idea of something that will help your child let us know. We custom make many products for our customers. Our Spacial Sacks for autistic children that we design is similar to body sox. You can click the links below to see our other great Sensory Products. Laceandfabric.com has an in-house sewing and design division. We have access to lycra and create many amazing things. We also design Spacial body bags that are similar to body socks or body sox. All of our products are made in the USA using fabric made in the USA so we are able to pass great saving onto you. We custom make our Spacial Body Socks, if you send us your child's height we can make it to exact size. We also make silly sacks for Performing Arts, Theater,Talent shows or Dance shows. We are on the leading edge of designing Autistic Products and Therapy Supplies for autism at great prices.You will find Tunnels, Autistic Swings, Lycra Bed Sheet and many other products for autism. Many OTs find our products work great in their clinics. 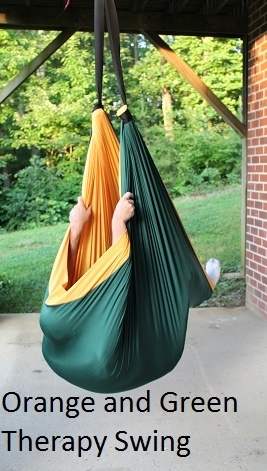 Lycra Spacial autism-Therapy Swing for cocoon-like design provides total body pressure that not only feels good, but builds muscular strength, coordination and balance. 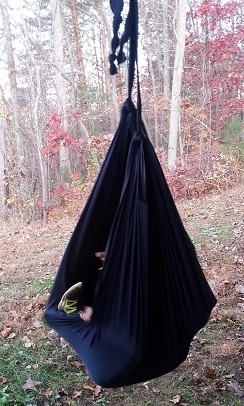 Our Swings are double layered to support up to 150 pounds. If you need a swing to support more weight please contact us. The Lycra Body Bag/Silly Sack is different from the Body Sock and Spacial Sock in that it does not have the velcro opening. 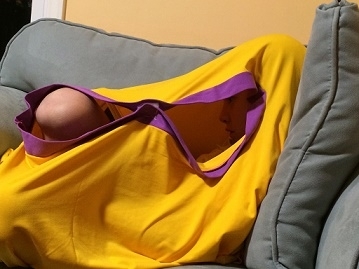 The Body Bags/ Silly Sack have an opening in the bottom and stretchs to stay on the body. Spacial Resistance Tunnel for core strengthening, better breathing and improved focus and attention. Thank you for visiting our site for Autism Sensory Products specially for children with ADHD (Attention Deficit Hyperactivity Disorder) or SPD (Sensory Processing Disorder). For your Therapy needs or your Autistic Therapy supplies and products vist our site. 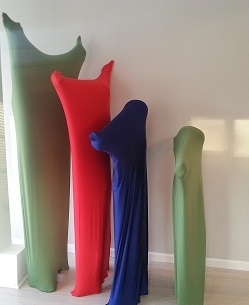 View our site for Silly Sacks and Dance Sacks as well. Our products are made in the USA from fabric made in the USA. For children with sleeping needs or Insomnia view our Compression Lycra Bed Sheets in Twin, Full, Queen or King Size. We started our company after finding it was difficult for families, teachers an therapists to get hard-to-find products for kids with ASD, PDD-NOS, Aspergers , SPD, ADHD and other special needs at reasonable prices. You will find on our site sensory and therapy supplies, autism therapy products, sensory integration products, autism toys, sensory toys, autism awarness products, and everything you will need teaching children with autism. 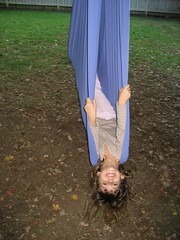 From sensory solutions like lycra sensory bed sheets, weighted animas, thearpy swings. 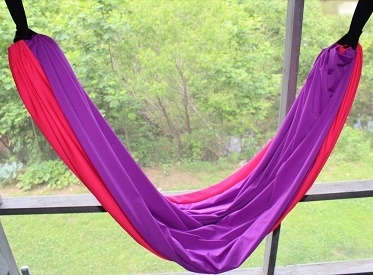 laceandfabric.com is your source for therapist-tested and parent approved autism products at reasonable price.